LED light engine. Light Emitting Diodes have several advantages over traditional high-pressure lamps. They turn on instantly and come to full brightness immediately. They can be turned off and on again rapidly without causing degradation or reducing lifespan. They have longer life spans than traditional lamps; the PF85U is rated for 30,000 hours of use. They also use less energy and produce less heat than high-pressure lamps. Connectivity. Even attempting to list all of the PF85U's connection options is exhausting. It has two HDMI ports, one of which is MHL enabled. It has two USB ports for flash media or other digital devices. It has both wired and wireless networking built-in (no dongle required), so you can hook the projector into your home network with ease. Once it's on the network, you can also have the projector stream media from any networked devices via DLNA. The projector has both 1/8" and S/PDIF ports for audio passthrough, which is useful when you're using the onboard apps or connecting to a remote server but still want to send audio to a heftier set of speakers than the PF85U's built-ins. And finally, the projector has a coaxial jack for connection to an antenna, allowing you to watch HD and SD broadcast television direct from your projector -- no external decoder box needed. A quick word about Smart TV: the PF85U is a step or two beyond the onboard media players of yesteryear. Using real first-party apps, you can watch Netflix, Amazon Instant Video, Vudu, and Youtube videos directly from the projector without an external source or media player. There are also non-video apps such as Google Maps, Facebook, Twitter, and Picasa. These apps turn the PF85U into a home media center rather than a simple display. The projector has built-in access to both a web browser and an App Store, so you can get more content quickly without leaving the device. Stereo speakers. Onboard speakers are never going to be as good as a real sound system, but the PF85U's dual 5W stereo speakers are better than your average tinny built-in. The speakers are situated on the left and right sides of the projector, so the channels are separated enough to remain distinct. The volume slider goes from 0 to 100, and up to 75 there isn't much in the way of serious distortion. Warranty. The PF85U includes a two-year warranty on parts and labor, while its closest competitors have only a single year of coverage. Finally! A projector that meets my most picky requirements that isn't to much to ask for; 1080p, frame interpolation, and it's LED for low energy consumption. And it's nicely affordable. This Projector came out a year ago in europe and asia. The US version is nowhere to be found, its on LG's website but they haven't updated it since last year. Could this handle a 120" screen (1.3 gain) in pitch black theater? I am very interested in this as a hold over until 4k comes down in price a bit. My biggest plus is the low heat production. My theater gets very warm with my Epson 8350 running for 2+ hours. The calculator show it can, but that is at the 1000 lumen MFG number and not really accurate to your test numbers. Placement is a non-issue for me. Since this model most certainly is considered as a first level home theater projector and has the brightness to deliver, was there any testing done in a dark room (light walls, no lights on) at more typical home theater sizes of 100" to 120" in diagonal? It seems that this is the sweet spot and this projector has a serious statement to make about what the potential is for LED in the home theater space. You have the $3,000+ Optoma HD81, and you have this model coming in for closer to $1,300. I will continue to question 'value' ratings as for $800 you get models like the HD131x from Optoma which are far brighter, have zoom, have a better lens, and perhaps are calibratable closer to 6,500K. I don't really buy that having the equivalent of a $60 Roku box built in is worth $500, so the argument must be for the LED engine and no lamp replacements. But, $500 can often buy 2 brand new 5,000 projector lamps and maintains the brightness to fill 120"+ screen, and the zoom, and larger optical system. I have yet to see a LED driven projector which has matched the color or image quality of a traditional lamp based model, but with the 'highly rated' recommendation, 1080p native resolution, and obvious leanings towards home theater, I would expect that all comparisons are being made towards the top home theater models, not to the junk LED models out on the market. But, does it really hold up that strongly to the W1070 or HD131x considering that it seems far more picky to setup with no zoom, has terrible lag times, and has some color calibration issues that are somewhat inappropriate for home theater use? I'm thinking this projector really needs a critical eye and instead of "Wow! This is a great LED projector." as a first thought, it may be closer to "This is the best LED model we've seen, but perhaps not the best option for many." is a more accurate statement. It shouldn't need to be guessed as to how this model compares to the ones it WILL be compared against. 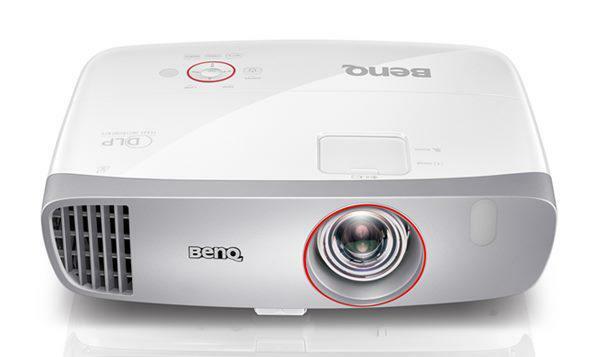 The Optoma HD131 (or HD25) and the BenQ W1070 are the entry level models of base comparison. How does the LG actually match up? Would be really nice to know. I think the value of an LED projector comes in several fashions. The obvious not having to buy lamps. I may have been the unlucky person, but I have never had a lamp last over 1850 hrs. On my Panny I bought two both around 1800 mark. Then on my Epson 8350 my first one went in 800 hrs (defect I assume, replaced for free by Epson). Then the second one has 1200 hrs on it now already dimming a little. The other major plus is heat. A lot of people have trouble cooling a theater. The lamp models produce enough heat to warm a room up 10 degrees. Pay extra to cool the room (if possible depending on your setup) or just watch movies in your underwear with a silent fan on (woot!). How about some of these? Convenience. Turns on fast, can be turned on and off fast without risk, can run all day (kids), super bowl Sunday and pop the lamp blows and no backup (happened to me, that was the 800 hr one). If I could get a similar picture out of an LED for a somewhat close price then the pros are worth it. I want a 4k eventually, but not for more then 6 grand (lamp of course). No mention of refresh rate as regards color separation artifacts - presumable because this info was not available from the manufacturer. Shame. Also would have been nice to know the black level in measured terms, i.e. candelas per sq metre, rather than "deep". How does the black level compare to the W1070? I am not too impressed with projectors where you cannot replace the light source. What if the LED's don't last 30,000 hours? How often do the claimed lifetimes match the real ones? In any case, why limit the lifespan of the projector to the lifespan of the shortest lived components? They should make the LED's user replaceable. Hi everyone -- thanks for reading. ken - Our contact at LG tells us that they are releasing the PF85U here within a month. I don't know if that date still holds, but that is what we were told before publication. Brandon - In a pitch black room? Maybe. Cinema mode (346 lumens) is a little too dim, giving you only 10.4 foot-Lamberts, but Standard mode gets you up to 14.6 and that's a little more doable. AV_Integrated - I agree that this projector isn't a great value for someone who wants an entry-level home theater projector. However, I think it's a great value for someone who wants an entry-level home entertainment projector and thinks that LED is important. We have received questions from our readers about LED and other solid-state technology for years now, usually some variation of "when will it get here?" or "why isn't it here yet?" So it's clear that plenty of people consider LED to be a make-or-break issue, and those people are willing to make purchasing decisions based on that issue alone. Is the PF85U a good LED projector? I think so. Is it a good home theater projector? Not necessarily. You'll note that we reviewed the projector as a home entertainment model, in part because that is how LG is marketing it. We try to listen to the manufacturers when deciding how a projector should be used, and in this case it's clear that LG is pushing the PF85U as a home entertainment/living room projector and not as a theater product. This keeps us from criticizing a projector for failing to perform in an environment for which it was never intended. In the home video niche, the PF85U's only serious shortcoming is lack of light output. In a home theater context, though, the projector's inability to produce truly accurate color and lack of zoom put it at a serious disadvantage compared to lamp-based models. I published this article immediately before leaving for vacation, but now that I'm back, the first thing on my schedule is a comparison between the PF85U and the BenQ W1070. Look for that article later this week. Brandon - I would caution against trusting too completely in manufacturer specifications for LED lifetimes. These projectors are relatively new, and if the first-gen Casio hybrid projectors taught us anything at all, it's that sometimes there are flaws in implementation that don't crop up until later in a product's lifetime. It is entirely possible that consumers will start reporting problems with LED projectors as the technology becomes more popular and widespread. Until that happens (or doesn't happen), take those massive LED lifetime estimations with a grain of salt. stolennomenclature - Correct, that information was not available. We are currently working on a way to test refresh rate independently, but progress is slow and it takes a backseat to our actual product reviews. Our comparison piece, due later this week, will explore the PF85U in comparison to the BenQ W1070, so stay tuned for that. I apologize for not getting it published before I went on vacation, but I wanted to take the time to do it right rather than rush to press just so I could be "done." As for your concerns about LED lifetimes, see my above comments to Brandon. It's something to consider, certainly. I really wish they would make a model without the "Smart" features with a lower price. Most people that are even on the market for projectors have a full setup already. I am glad they were smart and included a SPDIF out otherwise the smart features would only be useful while using it as a portable PJ. My tax return would have gone to this if it had a zoom. My living room is long, but has a perfect place for the project on the far back wall. Someone will make one that's just right eventually. Anyways, Bill is very correct on being cautious of the LED lifetimes. The lifetime is very dependent on the heat dissipation. While it generates less heat than a bulb, it is more sensitive to the heat it generates. You see this in the warming up period where the light output drop as opposed to increasing as with a bulb. All this means is that it depends on the manufacturers implimentation, so theoretical lifetime are high, but the real one can be very different. LEDs also have more tricks in how to power them. The various methods and controls affect light output, temperature, color, and lifetime of the LED, so there is real motivation for the manufacturers to do it differently. Bill - that's great that PC will be following up with a head to head of the W1070 vs. the LG. The W1070 has really set itself up as the gold standard of entry level projection it seems. Despite it's age, the faster RGBRGB color wheel has done a great job in the head-to-head comparisons I've read against the Optoma models. I certainly don't mean to imply this as the competitor for the top shelf home theater projectors like the LCoS units from JVC and Sony or the better Epson/Panasonic models. But, the entry level theater space. The one that may have a 100" screen and either after dark viewing, or be setup in a basement. Home entertainment? I think this design goes beyond that. It certainly is a fair bit pricier than many of the true entry level models, and it is a first in delivering 1080p from a LED model, with (relatively speaking) high level brightness. Looking forward to the comparison as I think that this writeup will be considered one of the most meaningful pieces of comparison for what this projector represents in the next year. Pleased, Bill, to see your cautions on the longevity claims of LED projectors. I've had two and my experience is that, yes, the light source does not blow up on you but they lose their mojo at only a fraction of the claimed 20 or 30 thousand hours. Imagine my shock when my Acer (which I perceived to be getting gradually dimmer) popped up a screen notice (comes up every time I turn it on) indicating the 'useful life' of the light array was at an end and suggesting 'replacement' at about 2,000 hours--and as if that's even possible! It's all been enough for me to give my two LED projectors to relatives, look with renewed affection at my stalwart BenQ,and order a new Viewsonic, needless to say NOT LED. It is hard to find out what the difference between the PF85U und its predecessor PF80U (not sold in the US) is. It seems that with the newer model mainly software features like LG Smart TV have been added. - Most probably this enhancement is caused by their recent WebOS integration. → Obviously this makes one wonder if there will be an upgrade option for the "firmware"/operating system, or whether there are some hardware differences that might render the older device incompatible. I'd be interested in noise levels which I previously believed would be a key advantage for LEDs. But the comment seems to be that at full output the PF85 is noisy. Can that be true? Are there any measurements or comparisons? There are projectors with much better led or led/laser hybrid lamps, yet they are not 1080p. I do not understand why those companies do not put out a 1080p product. Casio comes to mind. They have been doing led lamps the longest for the consumer market from what I see. Why don't they simply put in a better DLP system that allows for 1080p. I just do not get it. The Casio projectors led/laser hybrid lamps have well over twice the brightness compared to the lamp in the LG projector. I keep waiting for the logical evolution, but the projector companies that can simply don't. The Casio model you mentioned, which i owned, has terrible green tinge due to the limitations of the hybrid tech they are using for light source. My conclusion is that they can't produce Blue LED light source that is durable enough for high brightness in long term.